Our History is being written...watch this space. 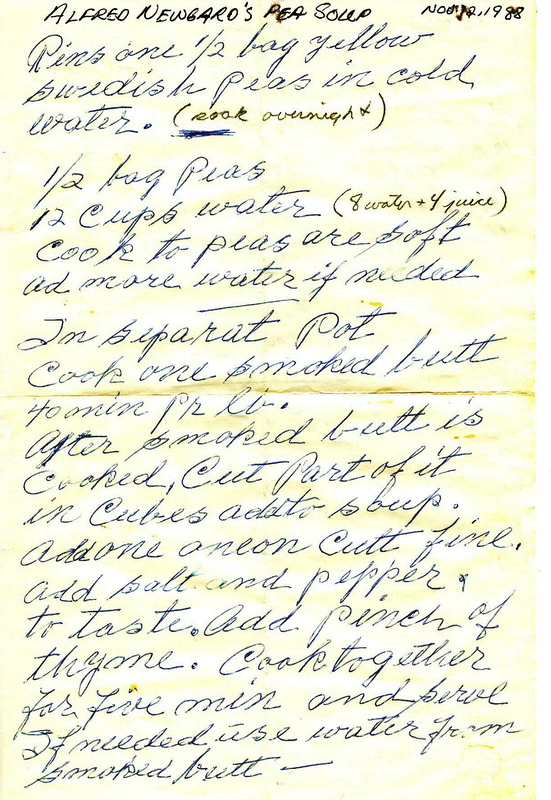 Alfred Newgard's ertesuppe (Pea Soup) recipe - Did you ever wonder where that great soup recipe, which we serve at our lunch, came from? This is handwritten by Al Newgard. It is also referenced by the Valdres Samband if you want a printed text copy. 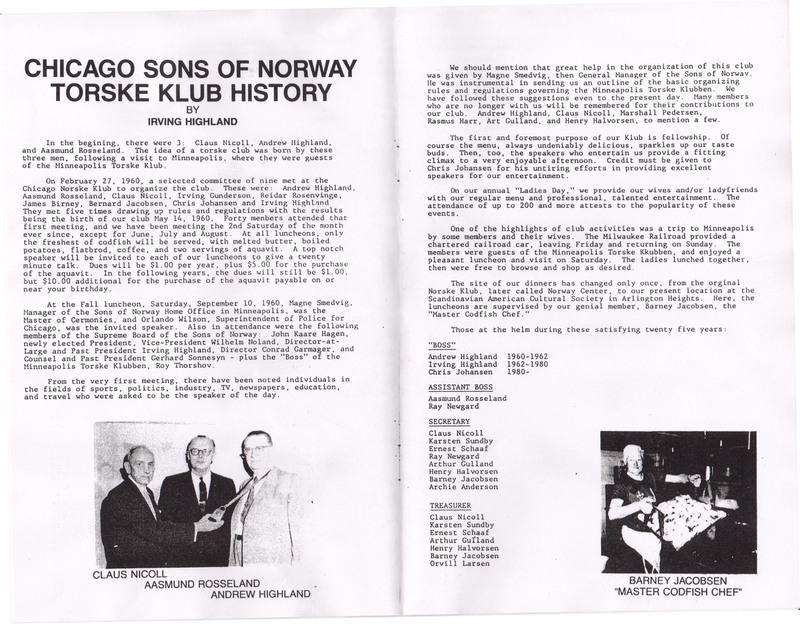 Chicago Norske Klub, A reproduction of two pages of "From Fjord to Prairie" published by our late member Larry Nelson in 1975. This contains history and photos from the historic building on Kedzie Avenue where the Chicago Torske Klub was founded and met for years. Chicago Norske Klub 40th Anniversary - 9mb 40th anniversary book, provided by Robert Alsaker. The Three Kings - By Robert Alsaker. Submitted in the May 2007 newsletter, this is an article about Robert and Evy Alsaker's adventure in Norway searching for the origins of a photo of the three kings of Scandinavia Countries and ending up viewing the compass that Roald Amundsen took to the South Pole. Enclosed is a PDF image that can be printed two sided for bi-fold paper. In 1964, the Norwegian colony in Chicago held the annual Syttende Mai parade along North Avenue in Chicago and later in Logan Square. Enclosed is a short home movie of that event. . The parade has been in Park Ridge for the last few decades.